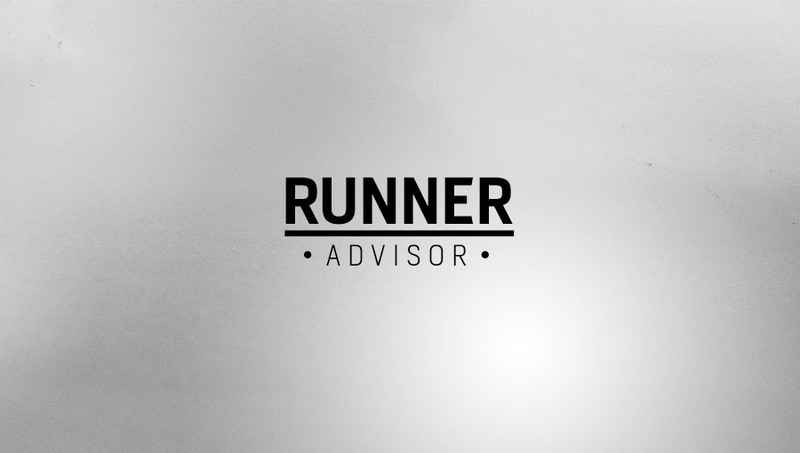 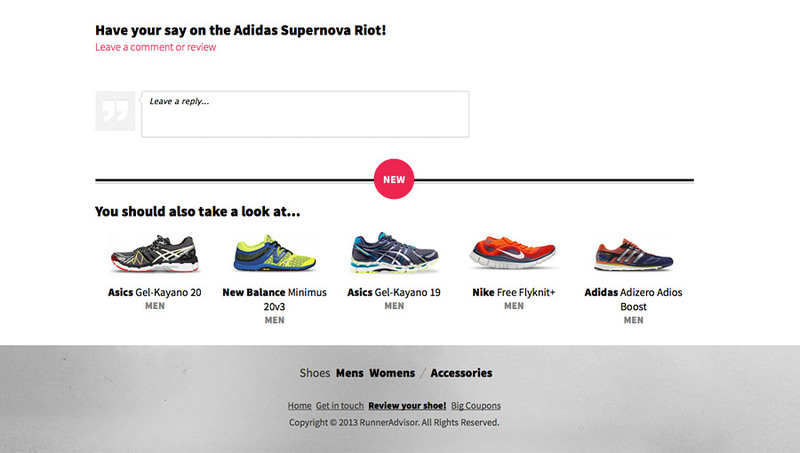 Runner Advisor is a shopping and review portal helping athletes source the best running shoes and the latest fitness accessories. 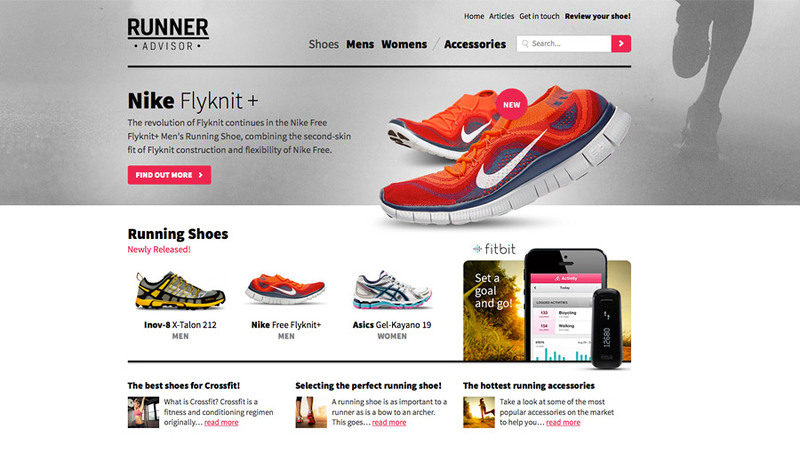 It also provides a great resource for healthy eating and fitness related articles. 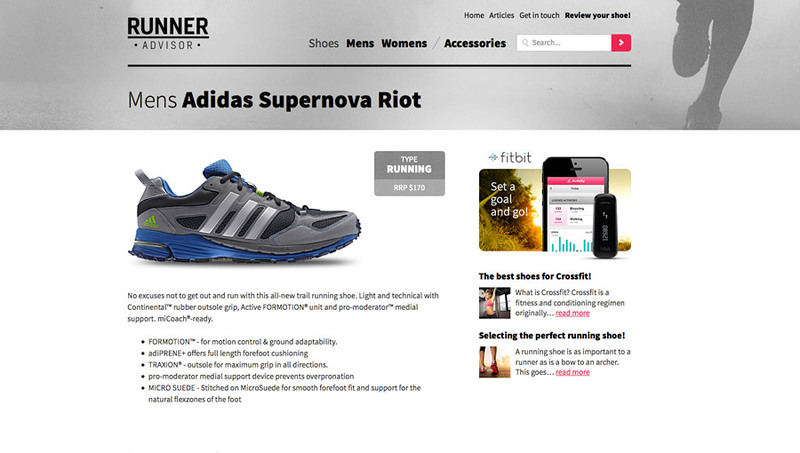 For this project, we created everything from the branding, website interface and integrated a management system to allow for the easy addition of new products, articles and comments/reviews.